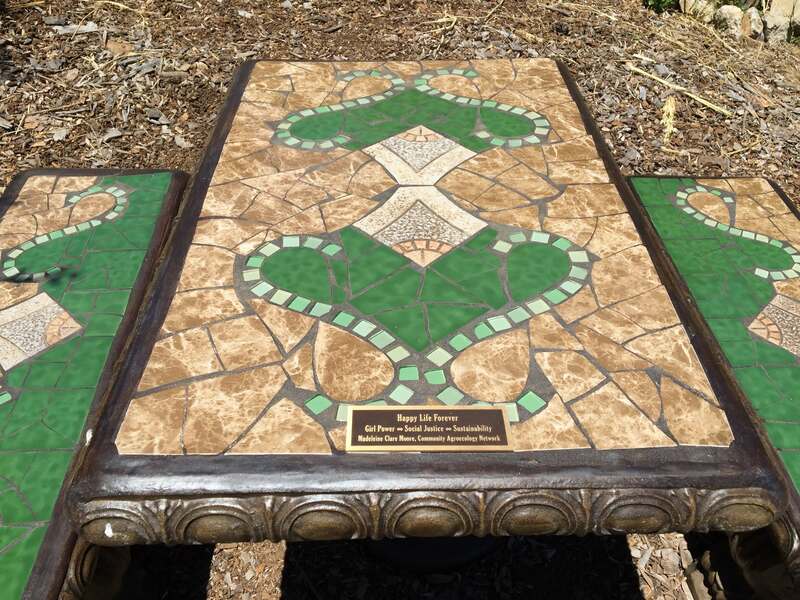 During CAN’s 2017 Intercambio, held at UC Santa Cruz, the Moore family donated a beautiful mosaic table and benches as a memorial for their daughter/sister/friend, to serve as inspiration and a site of reflection for generations of students to come. This passage is drawn from the dedication given by Michael Moore, Maddy’s father. What did CAN mean to Maddy? She found herself in CAN. Her vision: “Happy Life Forever” (Feliz Vida Para Siempre). A few simple words that say a lot. How do we get there? SUSTAINABILITY. Madeleine learned the principals of sustainability and saw first hand the benefits of living a sustainable lifestyle during her travels in Latin America. SOCIAL JUSTICE. You deserve a fair wage for what you do and you need a chance to make it happen for yourself and your family. Everyone deserves a chance, regardless of our background or where our parents came from. GIRL POWER. From an early age, Madeleine knew she was a force of nature. She learned this from her mother, her sister, her friends, her teachers. She lived a life fueled by Girl Power. Listen to Maddy: make the world better together. 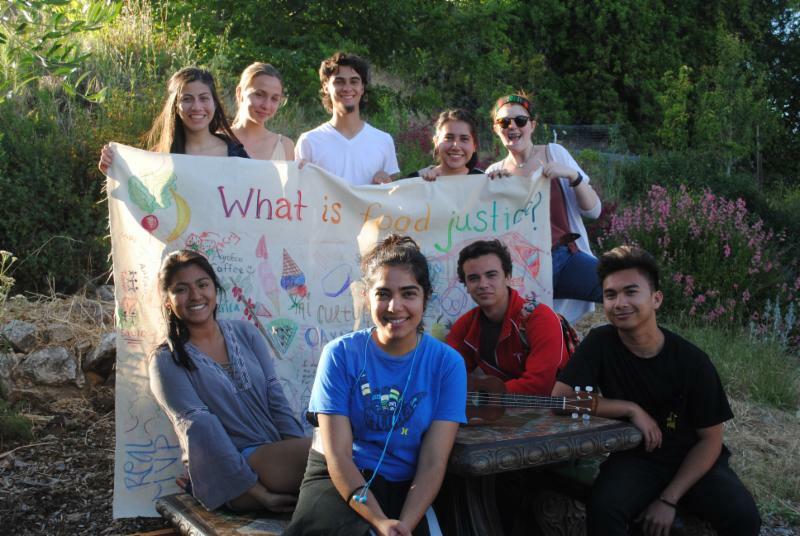 The 2017 Intercambio team at Maddy’s table, celebrating their success in connecting youth from Santa Cruz County committed to making the world better together.